The 1 kg Gold Ballotin is a satisfyingly weighty gift and a real joy to unwrap. 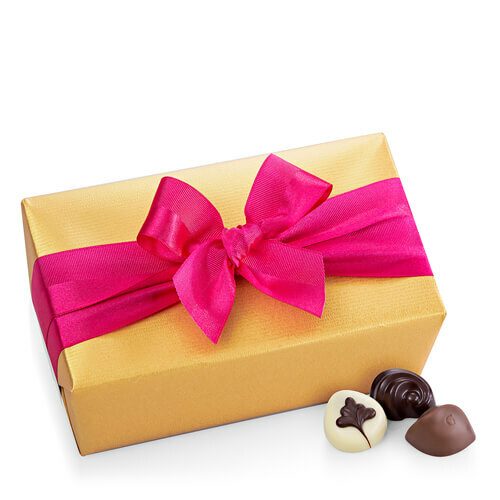 This delicious ballotin comes with a free gift: two lovely, pink accessory bags with gold decorations. Click on the small image below to enlarge.